Home Climate Change No To Shannon LNG! Defend The Planet, Defend The Shannon! No To Shannon LNG! Defend The Planet, Defend The Shannon! Last summer’s decision by the national planning authority to grant a five year planning permission extension for the building of an LNG (Liquified Natural Gas) terminal at Shannon makes it highly likely that the project will go ahead, unless a serious campaign is mounted to oppose it. The liquefaction of natural gas allows larger amounts of it to be stored and transported. 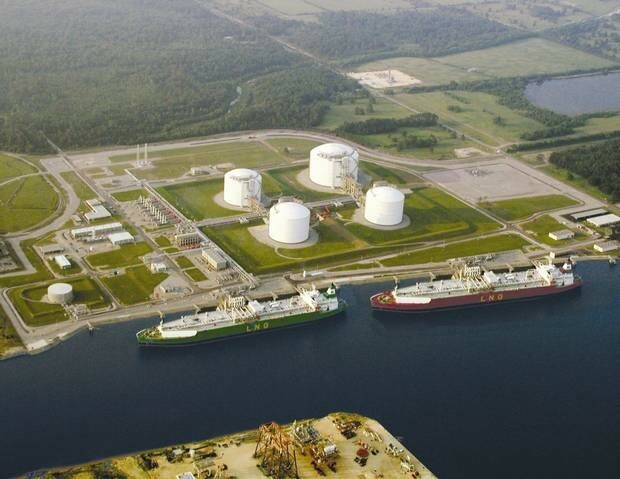 This LNG terminal will import large amounts of gas into Shannon from the North American fracking industry. Given that fracking has been banned in Ireland, it seems utterly preposterous that we would now import fracked gas from elsewhere. The move is akin to the Irish government saying they won’t commit the murder but they’re happy to hide the body. Of course, this will also be highly profitable for the Shannon LNG company. The LNG should be staunchly opposed on two grounds. Firstly, its existence will keep us tied to the fossil fuel industry for a generation. As the recent IPCC report showed, we have 12 years to drastically reduce global carbon emissions before catastrophic climate change becomes completely inevitable. To do this, we must leave the rest of the oil and gas in the ground, not continue to rely upon fracked fossil fuels from the US. Secondly, the LNG could cause huge environmental damage locally in the Shannon estuary. The bay by the Shannon estuary is home to a number of protected species such as the bottle-nosed dolphins, for whom it is one of the main calving areas in Ireland. The presence of the LNG will cause a major disturbance to the habitat of different species in the area. Moreover, the International Marine Organisation has stated that the LNG poses a major hazard, as any spillage could result in the ignition of a vapour cloud. Apart from the horrific environmental damage this could cause, locals are also extremely worried about the impact on tourism, which is worth €244 million a year to Clare alone. 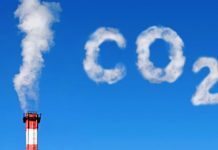 Leo Varadkar’s recent bumblings on environmental issues have shown that neither he nor his party are willing to take the kind of action necessary to move away from fossil fuels and to transition to a green economy. Varadkar is proposing carbon taxes that will do nothing to tackle the major polluters and will only punish ordinary people who have been forced into their cars due to the lack of decent public transport. 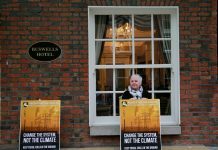 Fine Gael continues to oppose People Before Profit’s Climate Emergency Measures Bill, which seeks to ban any future oil and gas exploration in Irish waters. Therefore, if we wish to put a halt to the Shannon LNG we will require public pressure, mass protests and direct actions from ordinary people. People Before Profit fully support those who are already organising to put a stop to the LNG, and encourage anybody who is concerned by this to get involved in the local campaigns around Shannon. Given that the planning permission has been now extended for five years, the only way that we can stop the LNG now is through people power.